Skiing ability is thought to be an important risk factor for injuries, but the best method to classify skiing ability is not known. The objective of this study was to validate five different questions designed to self-report skiing ability for ski injury surveillance. To this end 512 alpine skiers, Telemark skiers, snowboarders and skiboarders were asked to selfestimate their skiing ability using five different questions based on skiing skill, piste difficulty, turning technique, skiing experience and falling frequency, each with four categories. The participants then made a test run to test their skiing ability. Observed and self-reported skiing ability were compared using kappa statistics. The correlation between observed and self-reported skiing ability was low to fair, with kappa values of 0.34 for skiing skill), 0.33 for piste difficulty, 0.38 for turning technique, 0.26 for experience and 0.16 for falling frequency. However, the sensitivity and specificity for each of the questionnaires in discriminating between individuals in the poorest skiing ability category on the test and the rest of the group was relatively good (skiing skill: sensitivity 75%, specificity 91%; piste difficulty 68, 96%; turning technique 75, 91%; experience 75, 90%; falling frequency 61, 97%). 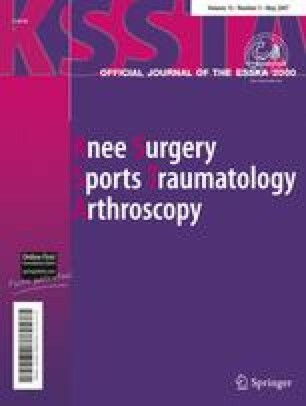 The results show that the capacity to self-assess skiing ability is limited, but estimation based upon turning technique or skiing skill seem to be best methods for epidemiological studies on injuries in snow sports. The Oslo Sports Trauma Research Center has been established at the Norwegian School Sport Sciences through generous grants from the Norwegian Eastern Health Corporate, the Royal Norwegian Ministry of Culture, the Norwegian Olympic Committee & Confederation of Sport, Norsk Tipping AS, and Pfizer AS. The study complies with the current laws of Norway.